and a nice dollop of mustard to emulsify. Whisk the marinade together and pour over the pork loin. Refrigerate overnight. On a hot grill, brown all sides, then cook the pork loin covered until it reaches 160° with a meat thermometer. 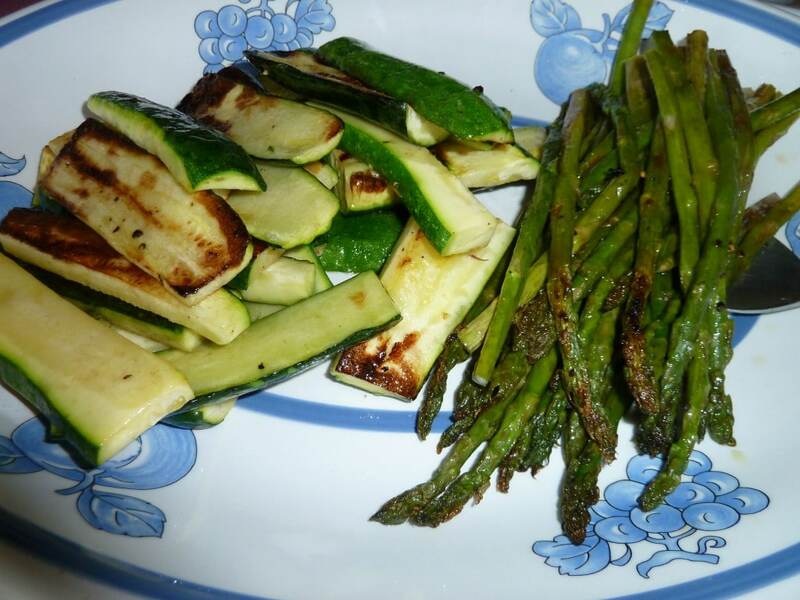 I tossed slice zucchini and asparagus in olive oil, salt and pepper before grilling. Yianni grilled them while the pork tenderloin was resting under foil. 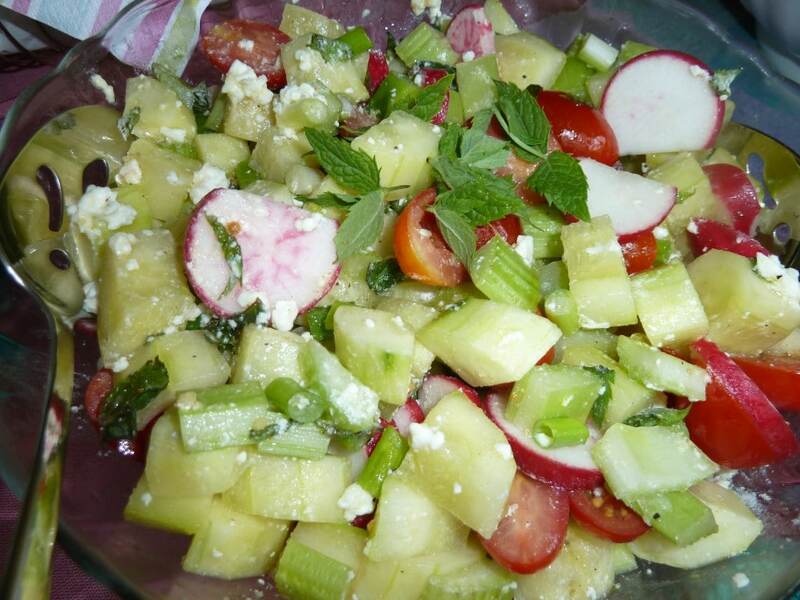 I also served a Greek village salad, basically a traditional Greek salad without the lettuce, with my easy to make salad dressing and mint from my garden. 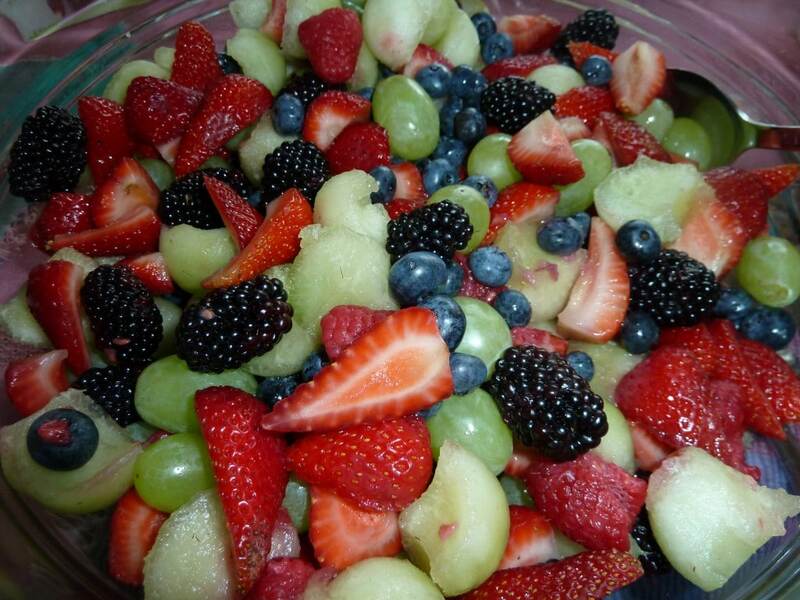 You already know from previous posts that I love to serve fruit salad in the summer when all these wonderful berries are in season. I tossed together a red and white cabbage cole slaw with Simply Dressed. Cabbage is very nutritious and a natural cancer fighter. Cabbage contains compounds that are anti-inflammatory and help your body to detoxify. 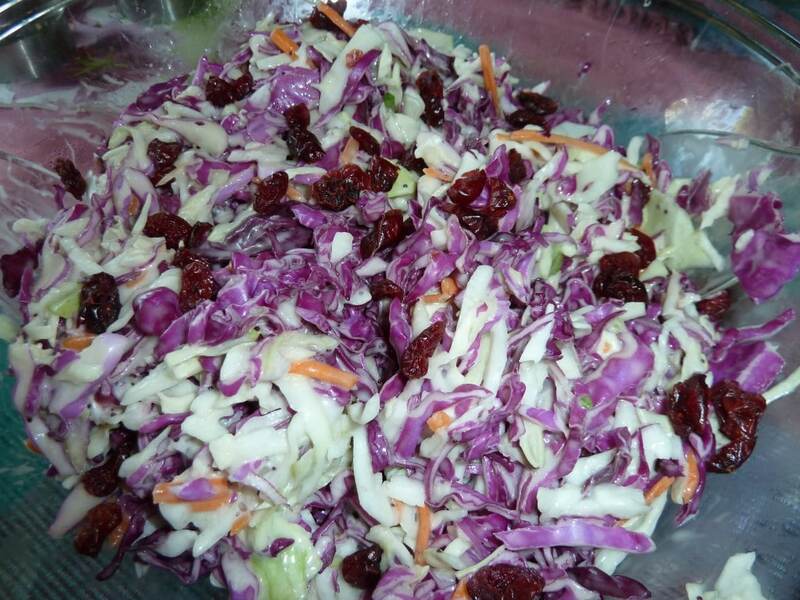 I sprinkled a few dried cranberries on top of the slaw as a quick garnish. I love having children running in and out of the house. 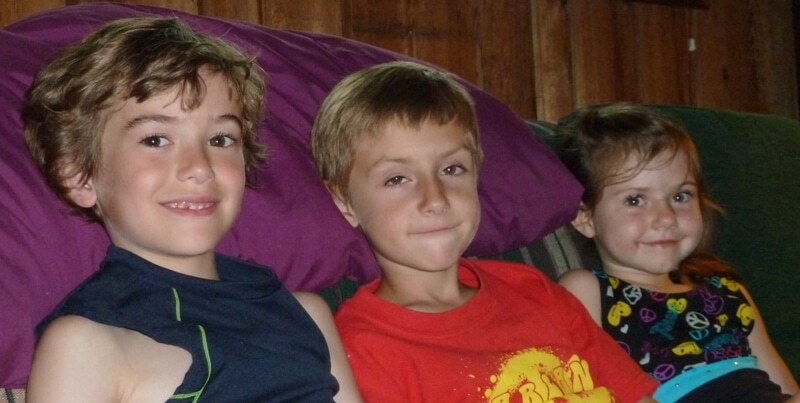 My grandson Max and his friends Ian and Maya are here taking a break from the heat in the AC. 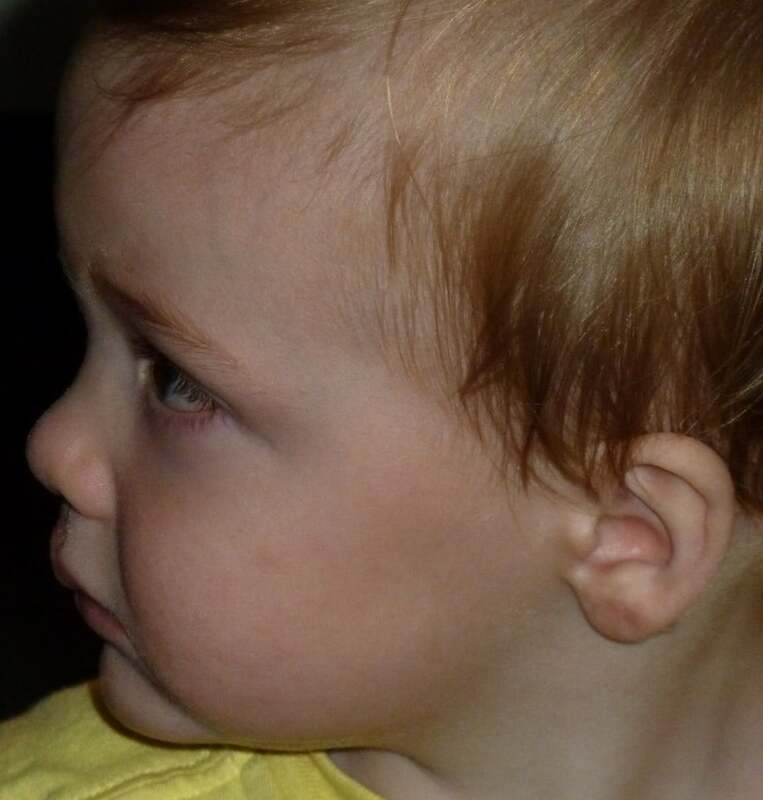 18 month old grandson, Benjamin, is very entertaining because he has learned to walk front and backward! Michael Jackson moonwalk? …it’s hilarious. 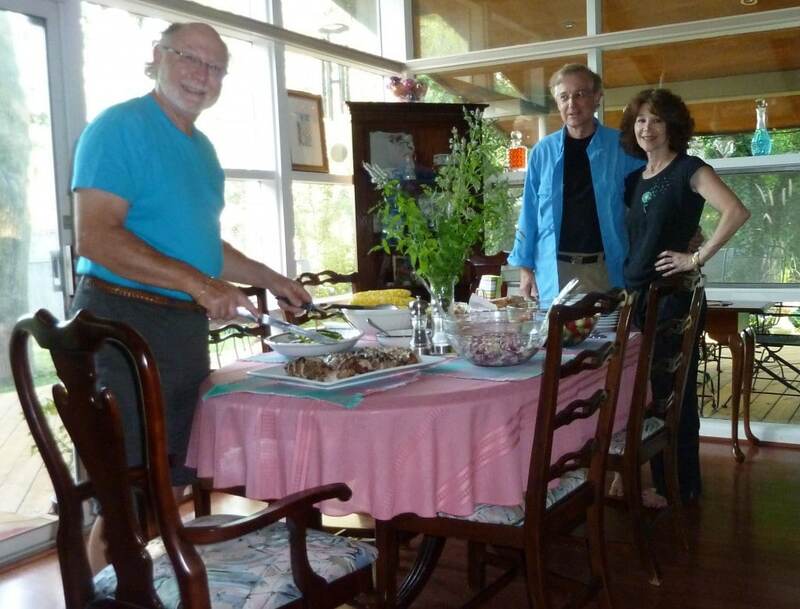 It was a delightful evening full of family and friends and I am grateful to be so blessed with both. Do you have any favorite marinades when grilling? Please, feel free to share them here in the comments. Let’s see how many we can collect! Hello Kitoula, i really like your marinade and i will try it for sure! The kids are so sweet! Thank you Eri. Luv your blog too! Lots of great recipes there.